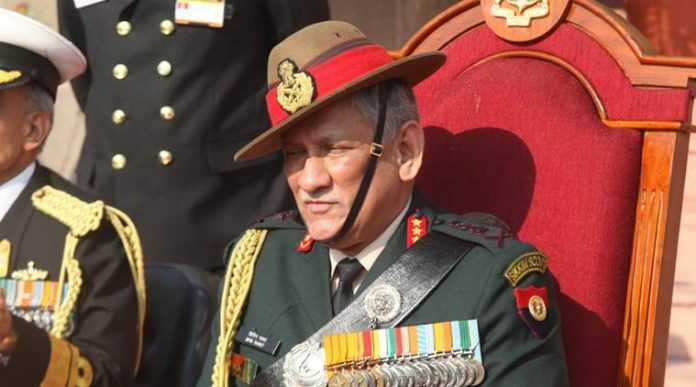 Reacting to the statement by Pakistan Prime Minister Imran Khan that if France and Germany can stay together why not India and Pakistan, Army Chief General Bipin Rawat said that for Pakistan to stay together with India, it will first have to become a secular state. General Rawat made the statement while interacting with the media on the sidelines of the Passing Out Parade of 135th course of National Defence Academy in Pune, which he reviewed on Friday morning. “For this idea of countries coming together, Pakistan will have to look at their own internal situation. Pakistan has made itself into an Islamic State. If they have to stay together with India, they will have to become a secular state. We are a secular state. How can we stay together, when they say they are an Islamic State and there is no role for anyone else,” Gen Rawat said. Gen Rawat also spoke about the scope of increasing the role of women in the Armed forces and said that areas like information warfare, psychological warfare and role as interpreters in military diplomacy are some of the areas where there will be a bigger role played by women in coming days. “We want to move forward in our relations with India. If France and Germany who fought several wars can live in peace, why can’t India and Pakistan,” Khan had said Wednesday while laying the foundation stone for the Kartarpur corridor.